When Dr. Danielle Riordan joined the ADA, she simply thought it was part of the progression as a dentist. Raised in the St. Louis area, which has an active local dental society, and inspired by her father Dr. Mark Zust, a former ADA trustee, Dr. Riordan was active in organized dentistry since dental school. It wasn’t until later in her budding career that she fully realized all the benefits that come along with being part of the ADA — from life and disability insurance plans to the camaraderie formed as a member of organized dentistry. For others, these benefits come in the form of student loan relief and continuing education to discounts on dental-related products and resources on managing a practice. For many dentists, financial burdens tend to be a barrier in their careers. In 2017, the average educational debt for dental school graduates with debt was $287,331, according to the Journal of Dental Educators’ 2017 survey of dental school seniors. Exclusive interest rate discounts when refinancing student loans through Laurel Road, the student-loan refinancing program endorsed by the ADA. Qualifying ADA members receive an extra 0.25 percent discount on their student loan refinancing rate as long as they maintain their membership. In addition, dentists pursuing any one of the ADA-recognized specialties and general practice residencies are able to refinance their student loan portfolio as soon as they are matched to a program. Members-only interest rate discounts on practice finance loans from BMO Harris Bank. ADA members will have access to preferred rates on practice financing, regardless of where their practice is in its lifecycle — from dentists looking to acquire a practice to those looking to expand their practices. Insurance and retirement resources, including 401k plans, that can help secure their financial future. During grade school, Dr. Riordan had an unusual accident in a classroom. A television had fallen on her. “I’ve had some [back] issues from that,” she said. One of the ADA member benefits she utilizes is the ADA Disability Income Protection Insurance Plan, issued through Great-West Financial. The plan provides members with monthly income benefits, payable up to age 67, if the member becomes totally disabled and unable to practice in his or her specialized area of dental practice (“own occupation” definition), even if the member is able to work in another area of dental practice or chooses to enter a new profession. Dr. Riordan and her husband, who have three young children, also utilize the ADA Term Life insurance plan to help protect their family. “The online application platform is easy to navigate and the premiums [gradually increase with age making] coverage during your younger years, which is when your need is highest, more affordable,” she said. In addition, ADA offers group rated plans which increases the value and cost advantages of ADA membership. For more information on the ADA Members Group Insurance portfolio of product options issue by Great-West Financial, visit insurance.ada.org or call 1-888-607-5330. “Having compared these policies and their premiums to other options in the market, I’d say the ADA-sponsored plans are less expensive,” Dr. Riordan said. 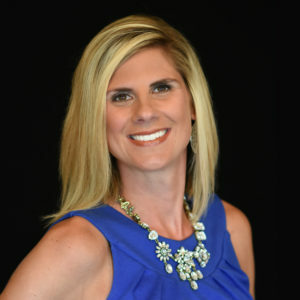 Despite the financial benefits and resources that come as an ADA member, the most amazing part of organized dentistry, Dr. Riordan said, is the connections formed with other dentists. Dr. Riordan had concerns in dental school with the idea that dentistry is a highly competitive field. But instead of rivalry, she only found camaraderie. Organized dentistry, she added, allows dentists to work on a common goal and common vision to help each other in their own respective careers. For example, the ADA Center for Professional Success, at Success.ADA.org, contains resources that can help dentists answer questions on a variety of practice management questions, such as hiring and managing staff or how to comply with a federal regulation. A new ADA podcast, “Beyond the Mouth,” delivers practical conversations on non-clinical career challenges from opening a practice and family leave issues to health and wellness. To become a member or to renew membership, visit ADA.org/join. You’ll become part of a ready-made network of 163,000+ members driving dentistry forward.